The name ‘Earthwise’ says it all. 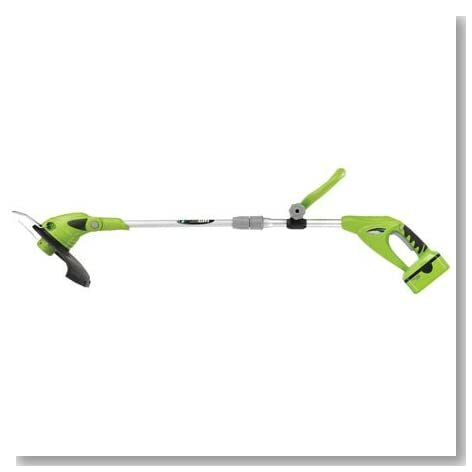 This Earthwise LST10012, 18-volt cordless, electric trimmer/edger just about does it all. 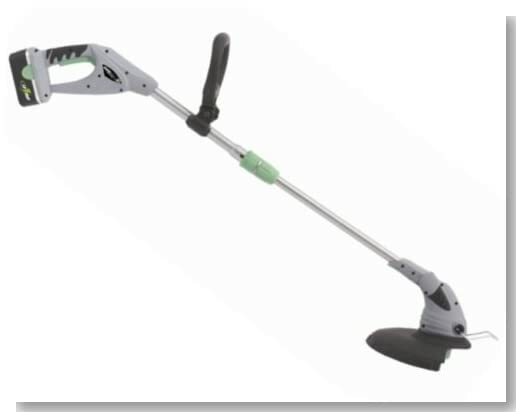 It’s ‘green’ because of the zero emissions, cordless so that you don’t have to worry about clipping an electric cord and comes with an adjustable handle and telescoping shaft. Weighing in at only nine pounds, this Earthwise LST10012 12-Inch 18 Volt Lithium Ion Cordless Electric String Trimmer/Edger is light enough to handle with ease – but also produces a powerhouse of 7800 rpm – powerful enough for landscaping professionals. Hard to reach areas are a cinch with an upper handle and an auxiliary handle that you can move back and forth while trimming. You also have a cutting head that can be adjusted to three different positions and a guard that you can flip to protect your delicate flowers or other plants while trimming or edging. You don’t need to bump the unit to advance the line because the semi-automatic line feed takes care of that problem. The lithium battery that comes with the Earthwise LST10012 trimmer is a must for most gardeners. Although battery power doesn’t deliver the same surge as gas, it’s worth the fact that you don’t put harmful emissions into the air – and for most landscapers, it does the job as well as any other unit. Assembly is easy and after recharging the 18-volt lithium-ion battery for approximately six hours, you’re ready to begin trimming and edging your lawn. You’ll surely love the molded, rubber handles for extra comfort and the fact that you can adjust the handle for more ease of use. This trimmer/edger is perfect for maintaining a small yard and for keeping up with the countless chores involved if you have a complex yard full of landscaping issues. Users of this Earthwise product say that even though they were skeptical at first about purchasing a battery-powered unit, their fears were quickly gone after the first use of the product. Earthwise is a company that stands behind their products, offering excellent quality that is earth-friendly. 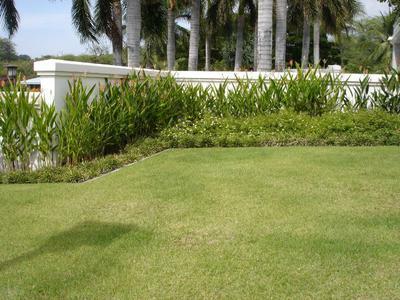 Offering quality landscaping products create those natural eco-systems. Finding solutions to problems that plague the earth’s fragile eco-system is one reason that they produce and manufacture products such as the Earthwise LST10012 cordless trimmer. Offered to the consumer at a reasonable price, this product brings excellent performance and reliability to your landscaping needs.